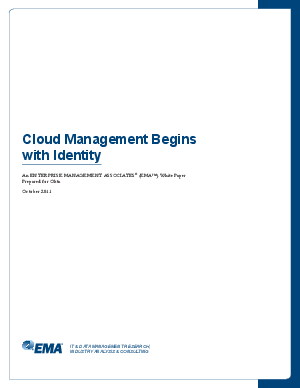 In this paper, EMA explores this question and examines Okta as an example of centralized, multi-tenant identity and access management that offers new answers. Okta enables businesses to extend their existing investment in common access controls such as Microsoft Active Directory to hosted, cloud-based resources. It also provides insight into cloud application usage, embracing a wider range of IT Service Management values than centralized access control alone.